Homeless issues just one of many plaguing the city's east side. 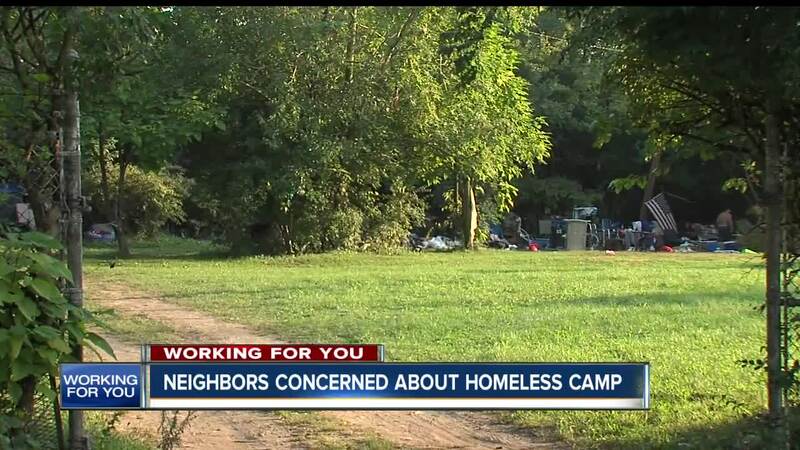 INDIANAPOLIS -- After an RTV6 story about prostitution problems near the intersection of Rural and Washington streets, a community member reached out, saying that's not the only concern in the area. Cindi French has lived in the neighborhood since she was 3 years old. She said it was always a quiet neighborhood until an encampment of people living in tents popped up. That's when the neighborhood started to change. "A lot of break-ins, a lot of thefts," French said. "My brother's garage was broken into twice." She's worried it could get worse. Chris Staab, an activist for the near-east side community organization, has an idea for the homeless population. He mentioned the former Oak Tree Apartments property on Post Road -- designated for eventual demolition. "Yes, it could take a couple million dollars to demolish it," Staab said. "It could also take a couple million dollars to get it renovated to the point where it could house these homeless people." Police reports show crime has actually slightly decreased in the neighborhood over the last five months compared to 2017. Staab said that's because people aren't reporting every crime. "We need help with the crime and we're not going to reduce our crime as long as there's a homeless population here," Staab said.